1 DEC is World AIDS day. Twitter is supporting World AIDS day cause by turning into RED. 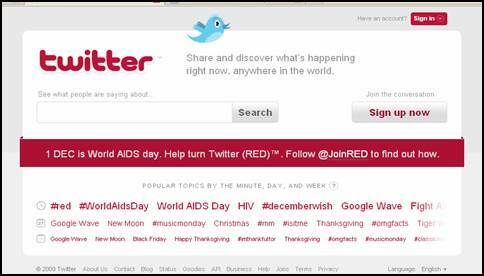 Follow @JoinRED to support World AIDS Day.